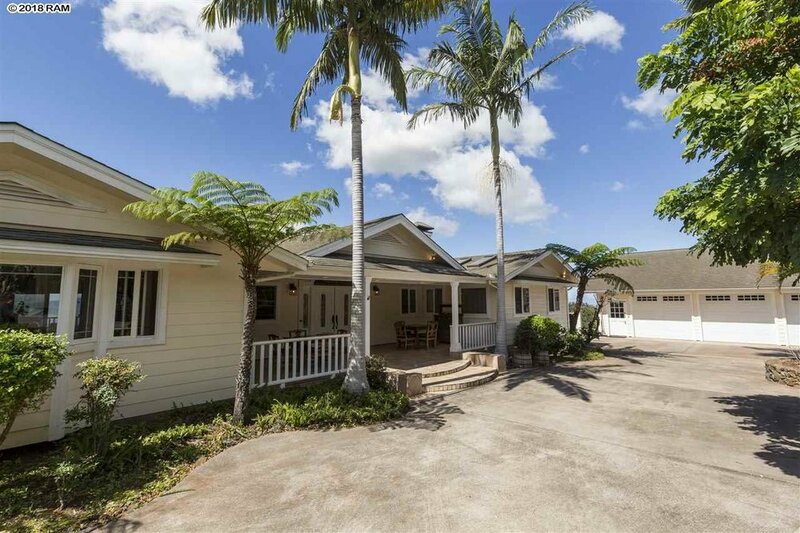 Beautifully designed and built to entertain in, you will surely fall in love with this ideal location in Lower Kula as well as the nicely thought out floor plan of this large, 4,694 sf, 4 bedroom, 3.5 bath home, 2 story home. Wander out to the huge covered deck and enjoy hours of wonderful weather that this fabulous location has to offer! Rolling lawns, forever views and a rare opportunity to purchase in this super loved neighborhood are now yours. Your dream kitchen awaits with a Viking gas range, built in stainless appliances and Sub Zero refrigerator, 2 large pantries and lots of working counter space for the foodie or chef in you! 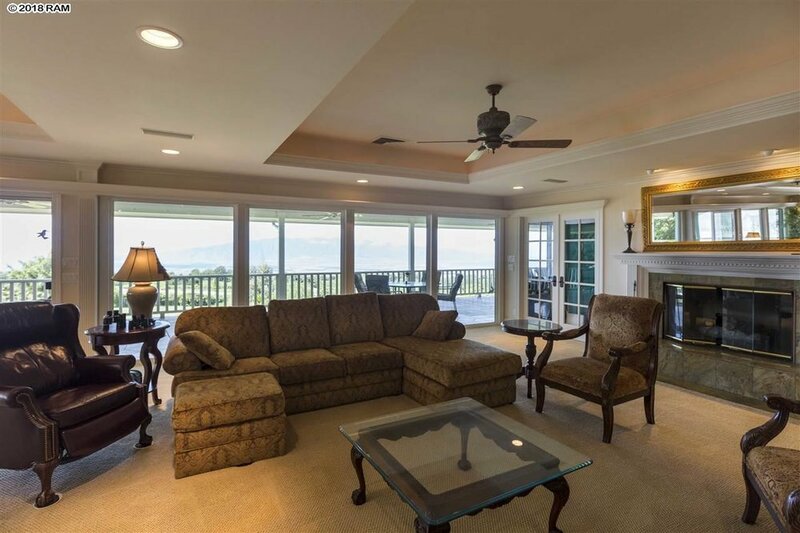 The generously sized living room and dining areas boast magnificent views from every angle, yet allow for comfortable living with family and friends! Beautifully recessed ceilings and skylights abound bringing wonderful natural light into this home. 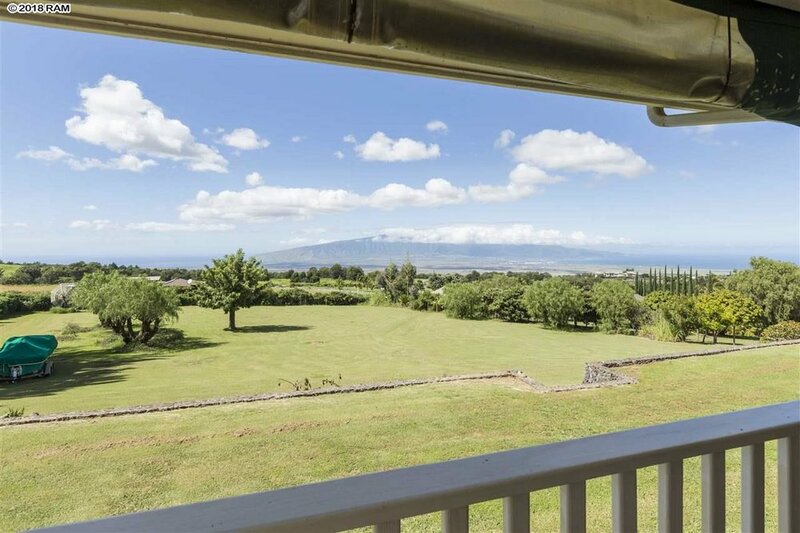 Wake up to the gorgeous island of Maui from this private setting. The expansive master suite with fireplace, sitting area and office upstairs offers stunning views! An added extra delight is the fantastic, well sized game, movie, music or entertainment room! You may never want to leave. If all of this isn't enough, enjoy the oversized detached garage and single level entry from your driveway through the classic covered porch. There is room for everyone here!